This is far from a scientific exploration or in-depth analysis, rather casual observation as wines from the 2012 and 2013 vintages have begun to flood retail shelves. With that as a disclaimer, a quick look at how consumers can use vintages to help guide smart purchasing of California wines follows. For purposes of contrast, it is helpful to start with 2011 as a benchmark since it will stand out in contrast as a particularly lackluster vintage in California. And what I really mean by lackluster is undesirable. Plagued by cold weather in late season rains, anyone who didn't pick early (which means almost everyone) found themselves either picking during rains or shortly after. Either way, precipitation preceding or during harvest has a universally detrimental impact on the quality of wines. That said, you're still likely to find plenty of 2011 wines (especially at higher price points) from California on retail shelves as wholesalers and retailers struggle to liquidate them. My advice: Let someone else do that for them. By contrast, 2012 is widely characterized as a classic vintage - and not just because there was only one direction to head in from 2011. Cabernets, Chardonnays, and, in particular, Pinot Noir have all registered high acclaim. While I have not had enough exposure to Cabernets from 2012 to make an adequate comparison, I think this vintage is being celebrated as much as it is because we haven't seen this caliber of Cabernet-friendly conditions since 2009. The same goes for Pinot Noir. All in all, my advice is simple: if it's 2012, you are not at risk of getting an off year lesser quality bottle. 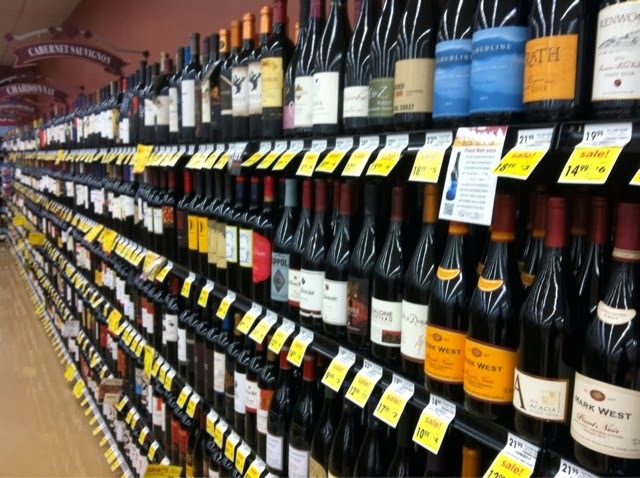 As for 2013, we are seeing mostly whites on the shelves now, with a few Pinot Noirs. Though 2013 yielded an early bumper crop in California, I believe it coincides with a deliberate dilution/reduction in quality for many popular and widely available wines. This is most prominently experienced in the $10-$20 range for Chardonnays that were very drinkable in 2012 and are of a noticeably lesser quality in 2013. Most of the popular 2013 Chardonnays I've had appear to exhibit more extraction, more residual sugar, and generally a lot of clumsiness. These are all signs of manipulation in the cellar, which can typically be traced back to less expensive grape sources. So, if you want to know where large wine companies' profits are coming from these days, they are putting lower quality wine under the same labels and at the same prices. My advice here is to scoop up 2012 Chardonnays in particular and enjoy those over the course of the next year. Same goes for Pinot Noir. A bright spot is in affordable Sauvignon Blanc where some producers have returned to the classic California style of bright, grassy, green apple influence that makes those wines so lipsmacking and refreshing. Again, far from scientific, but these rules of thumb should improve your chances of getting better bottles. Cheers!